High streets up and down the UK have again been presented with the news that a further 100 Lloyds bank branches with over 200 more jobs being lost. 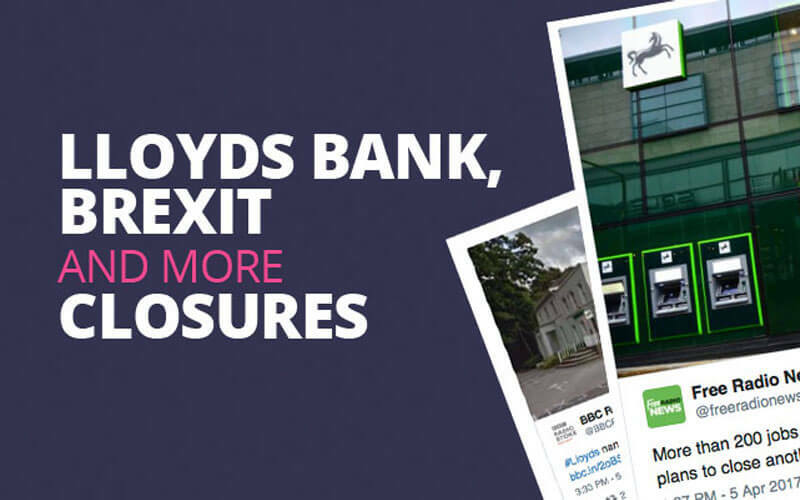 The closure will likely be affecting a total of 54 Lloyds branches, 22 Halifax branches and 24 Bank of Scotland branches. Lloyds have issued a statement saying that the customer ‘shows preference to the use of technology across banking’. And that’s that? So, the Bank who’s ultra slick advertising launched in 2016 showed a slow motion black stallion, the company’s brand, galloping through various personal circumstances communicating that Lloyds can give confidence to their customers so that they can take their next step whether it’s planned, happy, sad or unforeseen circumstance. It was a campaign to bolster the bank’s reputation and rebuild the message of unity. But with the dwindling presence on the high street is the brand saying one thing and doing the other? It seems so. The sad, melancholy music in the advert almost complimenting the news of more high street closures and the loss of many more jobs. Kind of ironic for those families being affected by such job losses that the message to customers is one of standing united with them through any circumstance. So where does it leave business customers? Well for business customers Lloyd’s Bank have entered the alternative funding space where many challenger banks have gained a positive reputation. Clearly, there is a need by the bank to gain a foothold here as the industry, after all, was born out of the banking collapse in the first place. Our advice is not to be taken in by a brand, choose a business loan product wisely based on facts and figures, not emotion and you won’t go wrong. Lloyds of London it would seem is also set to become Lloyds of London and Brussels with one out of every six staff set to move to Belgium to secure a post-Brexit place in Europe. So whilst politicians are shouting from the rooftops that Britain will shape a stronger future for itself the reality it would seem is that the corporates are mapping a very different road map.